Jazz pianist Kait Dunton keeps a busy schedule as a musician. She leads trioKAIT, a genre-defying jazz trio in which she plays keyboard, composes all the original music, and arranges the covers. She is the Chair of the Piano department at Los Angeles College of Music in Pasadena. This weekend, she’ll release her sixth album, a one-off collaboration with several other musicians including two former teachers, trumpeter John D’earth, and saxophonist Bob Mintzer, the chair of the Jazz Studies program at USC Thornton. So it’s surprising to learn that for much of her life, she couldn’t quite wrap her head around the idea of becoming a professional musician. Growing up, Dunton’s household was not a musical one. But from the age of four, she was drawn to the piano. She practiced and took lessons all the way through high school. Her parents were supportive but didn’t encourage her to think of music as a career. When she listened to recordings by favorites like Vince Guaraldi or Bill Evans, it never occurred to her that she could do that. In undergrad, at University of Virginia, Dunton majored in Spanish. But she fed her real passion by joining the school band and taking as many music classes as possible. Finally, a farsighted professor sat her down and said what she needed to hear—she could build a life doing what she loved. While obtaining a master’s degree in music from University of North Texas, Dunton saw people her age forming bands and putting out albums. This inspired her to release her own album of original music. It was well received. However, when she graduated and moved home to Los Angeles, she lost momentum and began to doubt. She fell back on the safety of a desk job at a music marketing company, which immediately felt wrong. Luckily, some of the people Dunton connected with were students at USC Thornton, who told her about the Doctor of Musical Arts program. She applied, was accepted, and left her job. This was the final step toward what, as a child, she hadn’t even thought to dream—a career as a musician. One of the people she met was Jake Reed, her husband. 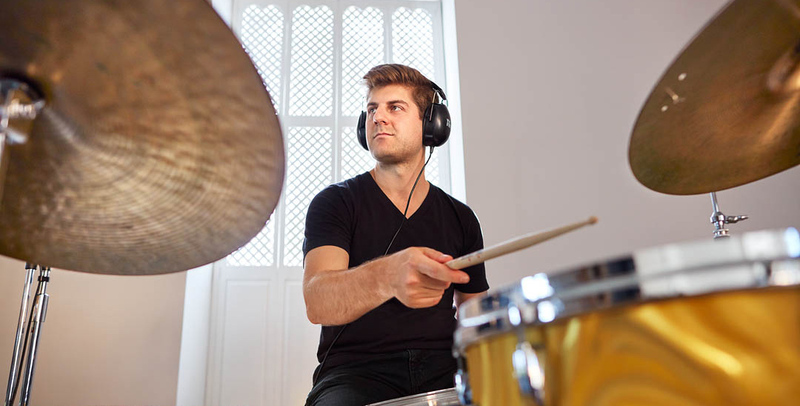 Reed studied drums in the same program as Dunton and they both graduated with DMA degrees in Jazz Studies in 2013. They married three years later. 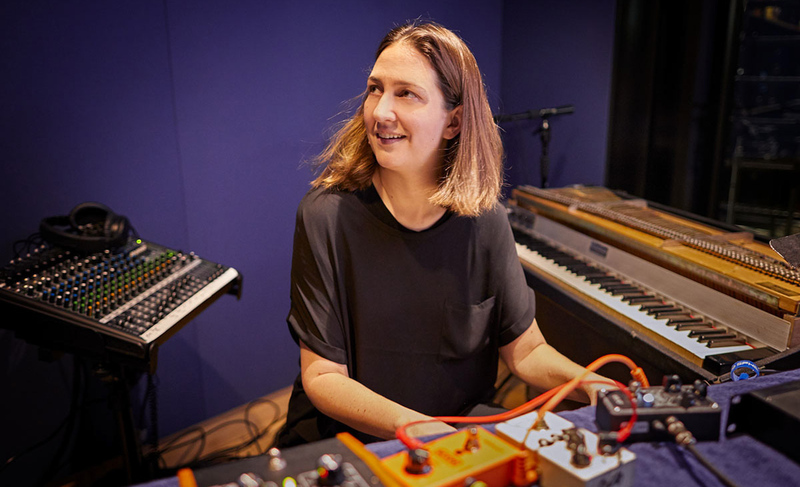 These days, Dunton could be a case study for how to make a living as a contemporary musician, and she does it together with Reed. And work hard they do. Their mornings start over coffee going over the day’s schedule. The upstairs of their home is for life. The downstairs is for music. There, they run a recording studio. They have separate practice rooms, one for keyboard and piano, one for drums. They each teach private lessons. Outside the home, Dunton conducts her duties heading up the Piano department at LACM. Reed occasionally fills in teaching for Peter Erskine, director of Drumset Studies at USC Thornton. 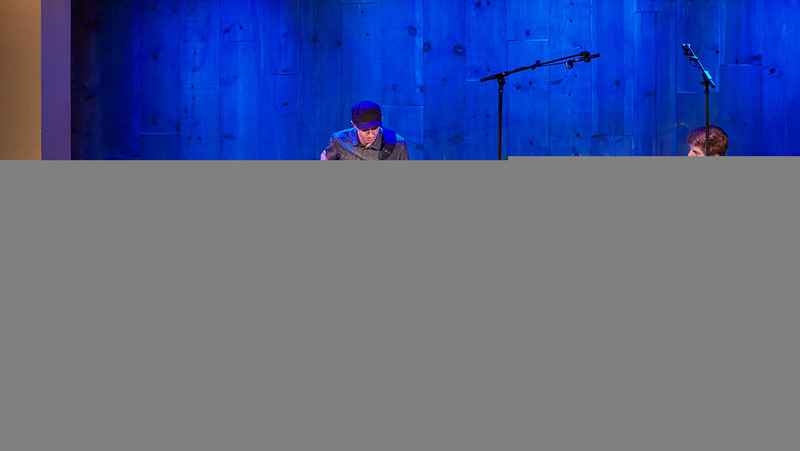 Dunton and Reed perform and tour with trioKAIT. Reed freelances with other bands around Los Angeles several times per week, Dunton less frequently because she’s more focused on composing and tending to band business. They both pick up studio sessions when they can. On a recent fall afternoon, Dunton and Reed were packing for a trip to Reed’s home state of Missouri, where the next day they were scheduled to teach a master class at Kansas University and play a gig at a local jazz venue. When they returned, Dunton had work to do on the new album. In addition to her usual daily obligations, there was mixing and mastering to oversee, artwork to supervise. The new album, Planet D’earth, brought Dunton full circle. It’s a creative collaboration with the undergraduate professor who first nudged her toward a life of music, John D’earth, the director of Jazz Performance at the University of Virginia. In addition to Dunton on piano and D’earth on trumpet, the album features saxophonist and USC Thornton professor Bob Mintzer, bassist Dane Alderson (Mintzer’s bandmate in the jazz fusion quartet, the Yellowjackets), and Jake Reed on drums. As a child, Dunton may not have had role models to help her find that voice. But now she’s speaking it loud and clear. She and Reed are building something special. Their careers are separate yet inextricably linked. They don’t have to go anywhere to teach a master class. Their life together is one, a daily lesson in how to make it in today’s challenging musical landscape. If only young Dunton could have looked into the future and seen herself now.